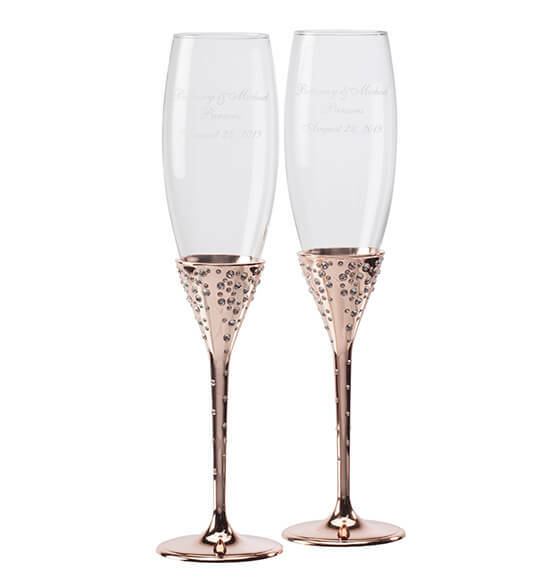 Like stars twinkling in the galaxy, the embedded crystals on the stems of these toasting flutes sparkle and shine. The glistening rose gold finish is both timeless and of-the-moment, wrapping around the bottom of the glass bowl. 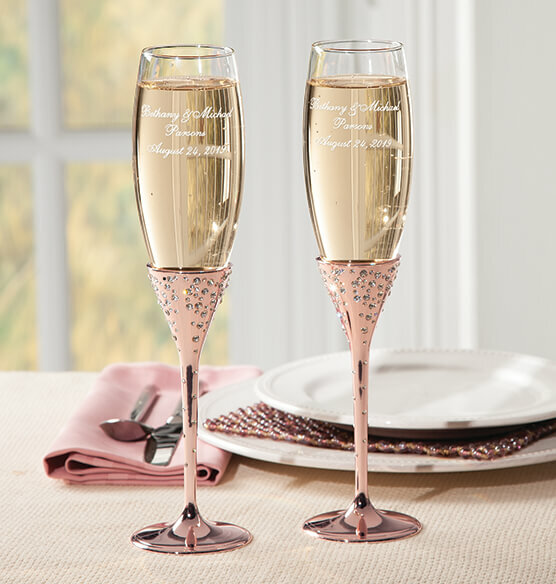 As they raise their first toast to each other, these flutes will become part of an unforgettable moment. Complete the set with our matching cake server set. The flutes come in a satin-lined silver colored box, for a beautiful gift presentation as well as storage between uses. Flutes hold up to 5 oz. I purchased six of these flutes to celebrate my 80th birthday with my four daughters and daughter-in-love. They were so excited when they opened this gift! I was very satisfied with the quality and beauty of the flutes. I ordered the flutes from Exposures because the flutes were available plain without engraving. Thank You! Wanted ones with NO inscription in rose gold. Other sites would not let me order plain.